Pleasant rooms and interior decor with various in-house facilities. Mark Inn is an amazing piece of property in Jaipur that provides comfortable accommodation options within a pocket-friendly price range. The rooms have been painted in neutral hues and the cushions provide the only burst of color in the room. All rooms are well-lit and well-furnished. 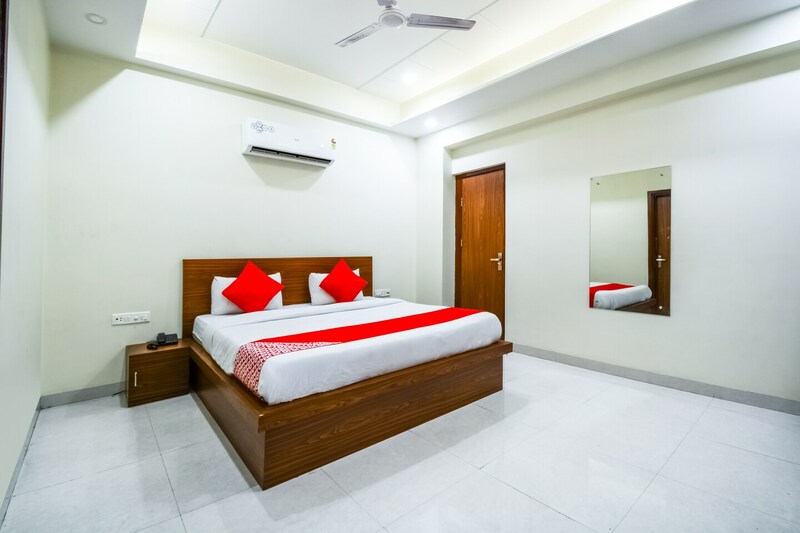 The extra amenities provided by the hotel are free Wi-Fi, an uninterrupted power backup source, a mini fridge in each room, CCTV cameras and laundry provisions. The in-house facilities include a common dining area, a conference room, a banquet hall, and a restaurant. The front desk service is handled by experienced staff.